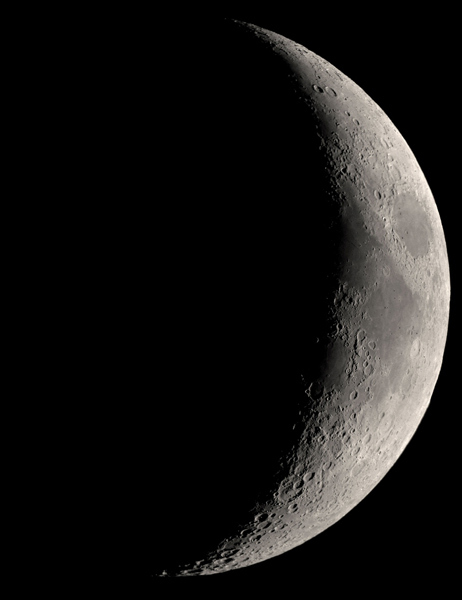 Moon, Image 16 (Astrophotos from the University Lowbrow Astronomers). This page contains images produced by members of the University Lowbrow Astronomers. 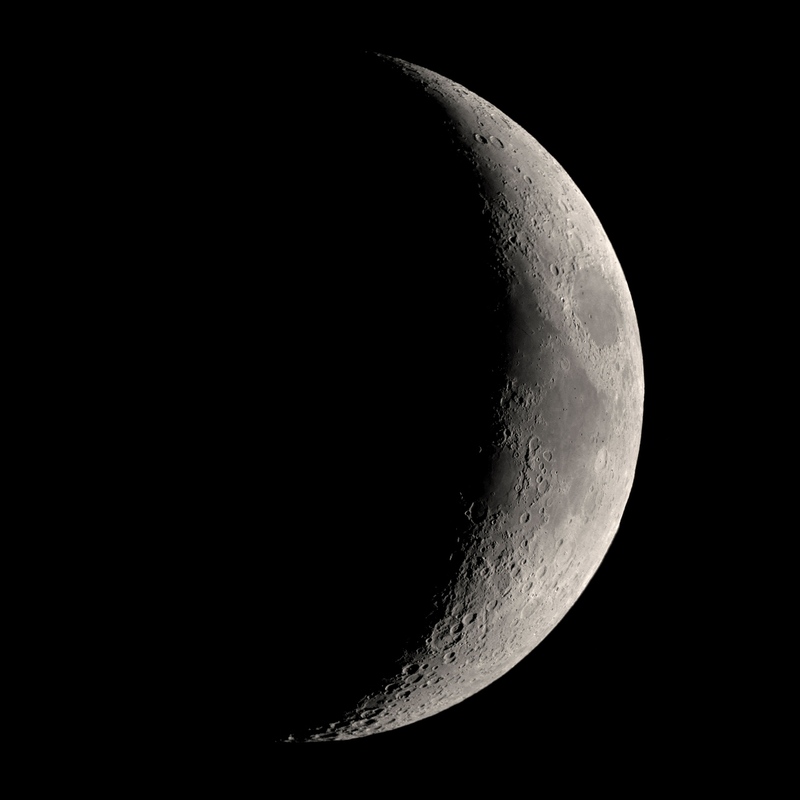 Photograph of the waxing crescent moon. Taken by Doug Scobel using his 8-inch f/8 Newtonian reflector in late March 2009. If your picture viewer shrinks the image to fit the window, then expand it to its full size to see all the detail. The Home Page for the University Lowbrow Astronomers. The University of Michigan Astronomy Department. The University of Michigan Gateway. A List of Other Astronomy Clubs in SE Michigan. Copyright © 2015, the University Lowbrow Astronomers. (The University Lowbrow Astronomers are an amateur astronomy club based in Ann Arbor, Michigan). This page revised Tuesday, April 10, 2018 7:08 PM. This web server is provided by the University of Michigan; the University of Michigan does not permit profit making activity on this web server. Do you have comments about this page or want more information about the club? Contact Us.